Despite persistent, unsubstantiated rumors that The New York Times is failing, the paper continues to produce some of the best visualizations of data being produced these days. In today’s online edition (and Sunday’s print addition) they’ve created a map of every building in America. This massive figure-ground diagram of the nation we’ve built for ourselves is truly amazing. 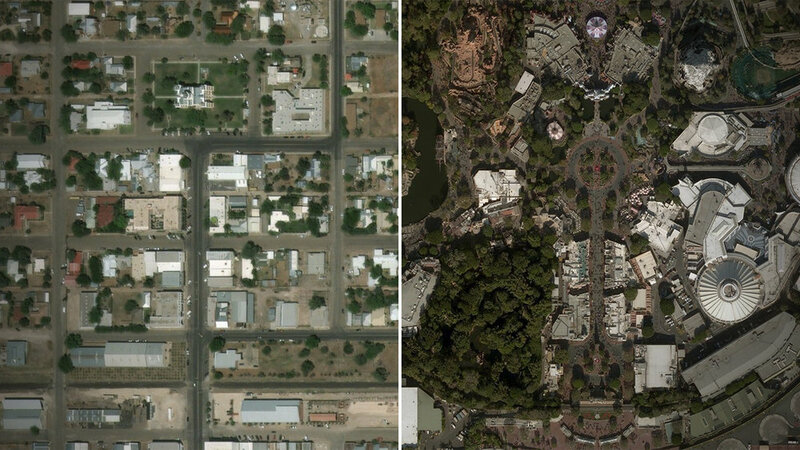 Better than a map or satellite imagery it clearly illustrates the patterns of development that define where we live. Naturally my first instinct was to find where I live and work. From there I explored some more and was able to locate my kids’ schools and the other landmarks of my life (HEB, Target, etc.). Of course by illustrating only built structures you also start to realize just how expansive the built world is. There’s lots of open space as well and so it looks like us architects will be busy for some time. 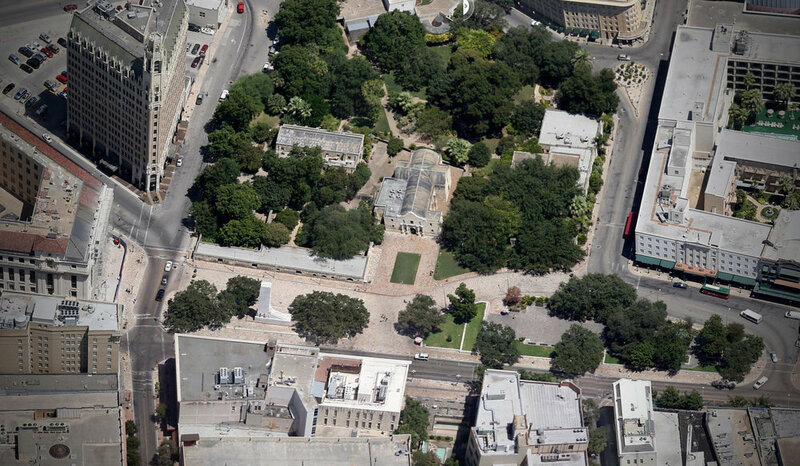 Earlier this month a new "Interpretive Plan" for San Antonio's Alamo Plaza was released to the public. It represented a further development of a "Master Plan" that was completed last year. 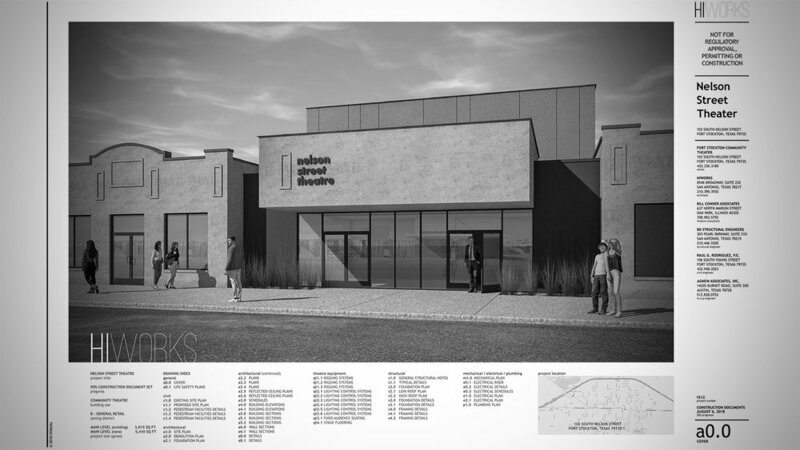 Last week the city held a series of public hearings to discuss the plans and I was able to attend the final one on Thursday. On the one hand it was inspiring to see so many people interested in the built environment. On the other hand, things got pretty nasty pretty quickly. People showed up with signs and matching T-shirts. The formal presentation was interrupted by boos and yelled comments. The question and answer period was less about asking questions and listening to answers and more about expressing opinions and shouting accusations. As an architect I've been on the receiving end of these public forums and it isn't fun. The challenge comes from the fact that the client of a particular project is not always the same as its user. In the case of Alamo Plaza the client is the City of San Antonio and the State of Texas while the users are all Texans and anyone who has ever been inspired by its story. That's a lot of people to try and make happy and in some cases it is impossible to make one group happy without angering another. In meetings such as the one I went to last week it is often the architect who gets stuck the the middle. Still, public feedback is a critical part of any public project and there are certainly parts of the current plan that ought to be revised. But it's impossible to make everyone happy, though, and some compromises will have to be made. My fear is that the end of all this everyone will go home and the Alamo will remain as it. Civic discourse should be civil. Otherwise we cannot have nice things. Last week was the 50th anniversary the first national broadcast of Mr. Rogers' Neighborhood. I grew up watching the show and hearing the soft, comforting intonations of Mr. Rogers' voice in a recently rebroadcast interview transported me back to my early childhood. I may have been just as much of a Sesame Street kid, but Mr. Rogers always had a special place in my heart. This may be because his neighborhood was so familiar. Whereas Sesame Street took place in an urban setting Mr. Roger's Neighborhood was unambiguously suburban. You can see this in the program's iconic opening sequence where the camera explores a scale model of the titular neighborhood. It wasn't exactly like the suburb where I grew up but it looked a lot like the postwar neighborhood where my grandparents lived. Even though my grandfather and Mr. Rogers were quite different there was a comforting calmness they both shared. It may be an overstatement to claim the scale model at the beginning of Mr. Roger's Neighborhood was the inspiration for me to build models and design neighborhoods as an architect but it's most assuredly not an overstatement to claim that the testimony Mr. Rogers gave in front of Congress in 1969 remains an inspiration for speaking truth to power. The seven minute clip is worth watching: seeing a gruff Senator straight from Central Casting melt under the overpowering kindness of Mr. Rogers is incredibly cinematic and I'm sure a version of it will appear in the upcoming biopic starring Tom Hanks. 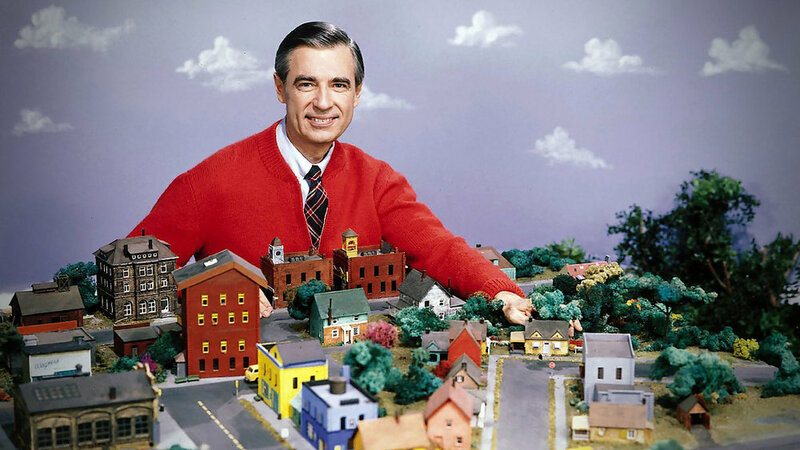 In the meantime, though, PBS will be airing its own documentary about Mr. Rogers and his neighborhood. The program airs on March 6 at 7PM on KLRN here in San Antonio. A week ago I traveled with my family for a vacation in Disneyland in Anaheim, California. This week I am in Marfa, Texas for a workshop on audio storytelling sponsored by Transom and hosted by Marfa Public Radio. The goal, as you might guess, is to make The Works better. At any rate, walking down Highland Street in Marfa has reminded me of walking down Main Street in Disneyland. 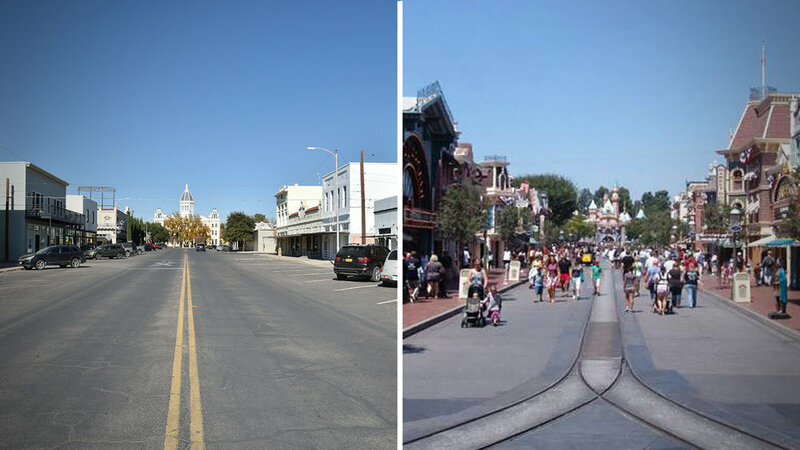 Although the scale of the latter is somewhat smaller - Disneyland famously played with the dimensions of the street and the buildings to make them "feel" better more inviting - the distance from Sleeping Beauty's Castle to the Disneyland Train Station is about the same as the distance from the Presidio County Courthouse to the tracks of the Union Pacific railroad tracks. Walt Disney did not use Marfa as a model for Disneyland. 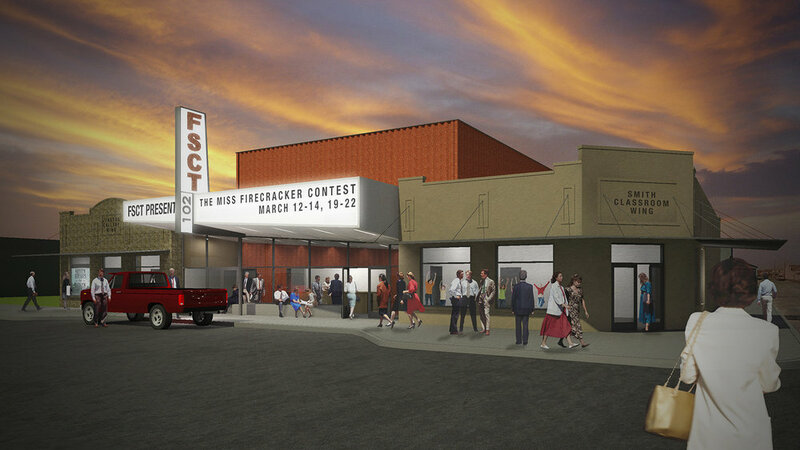 It is instead an idealized version of a turn-of-the-century downtown inspired both by Disney's memories of his hometown of Marceline, Missouri and the memories Harper Goff had of Fort Collins, Colorado. The reality is the basic urban model of a main commercial street with set on axis with a "weenie" (be it weenie a courthouse or a castle) can be found in small towns and larger cities throughout the country. It turns out that in addition to being a cool feature for a theme park it's also a great way to design for the real world as well. My grandfather's generation fought Nazis in Europe. I bet he never thought his grandson's generation would need to fight neo-Nazis and the hatred they represent in public parks here in the United States. 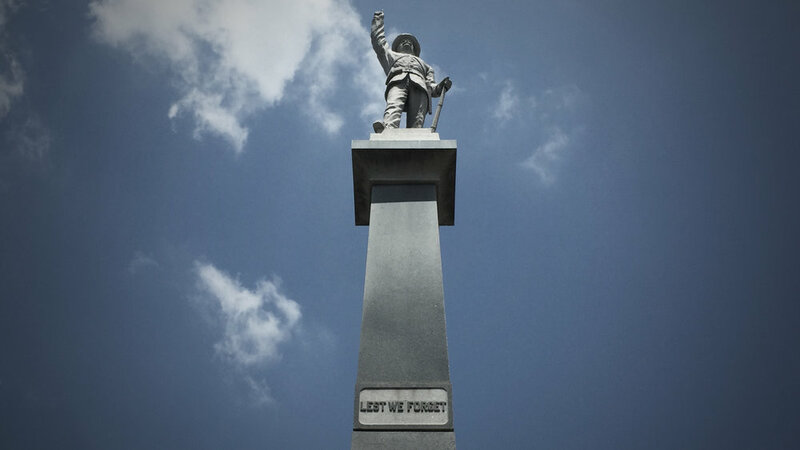 On this episode of the podcast we talk about Travis Park and the monument that was built there. As always, please talk a moment to listen to the story and if you like what you hear, feel listen to the other episodes or subscribe to the podcast on iTunes where you can also rate the show and leave a comment. When Hurricane Harvey made landfall late last week San Antonio was forecasted to receive a foot and a half of rain. Due to the mechanics of hurricanes and the geography of the Texas coast (hurricanes here rotate counterclockwise and so the storms tend to be much more damaging in their "northeastern quadrant") the vast majority of rain associated with the storm fell to the east and the Alamo City received less than three inches of rain. A little under three inches of rain fell at my home. Parts of Houston received almost 52" inches. It has been hard to watch all the images of the devastation. Hurricanes are nothing new to the Texas coast but the scale of this one was unprecedented. Was climate change responsible for Harvey? No, but heightened ocean temperatures probably made it more intense. Did Houston's expansive urbanization make flooding worse? Perhaps, but over four feet of rain is going to cause problems anywhere it falls. Acts of God can be made worse by acts of men. But men (and women, of course) can rebuild. They can plan. They can design for a world that has 100-year storms every few years. And perhaps most importantly they can have the sympathy and compassion to lend a hand to their fellow man when he is need. San Antonio's City Hall is easy to miss. It doesn't sit in either of the city's main public plazas (Alamo or Main) and it is surrounded by mature heritage oak tress. You could drive by it and be completely unaware that the seat of government for America's seventh largest city is located but a few feet away. The building has other issues as well: the lobby is too small to comfortably accommodate the metal detectors such buildings require and its elevated main floor necessitates visitors in wheelchairs to follow a circuitous path to get into the building. It was this latter issue that inspired Councilman Roberto Treviño to partner with the San Antonio chapter of the American Institute of Architects to hold a design competition to come up with a solution to make San Antonio City Hall more accessible. Our solution didn't win but we're still proud of it. We proposed an act of "invasive preservation" where in order to restore the presence of a piece of historic architecture we actually call for its physical modification. In historic preservation circles that represents a pretty radical notion, but one of the great things about competitions is that they give you the opportunity to safely explore such ideas since they will probably never actually be built. At any rate, our entry called for the 1927 entry arch - the most defining characteristic of current version of the building - to be physically removed from the façade and relocated fifty feet to the east. By transforming the existing building’s entry arch into a freestanding “Tricentennial Arch” San Antonio’s City Hall would achieve a civic presence appropriate for a city of its size. The space in between the existing façade and the relocated entry arch would then be filled with a series of ramps and landings to provide access to those in wheelchairs while also creating a platform for civic activities. Press conferences, public announcements and civil protests would have an appropriate stage on which to occur. At any rate, you can see all of the entries in the gallery associated with this article. 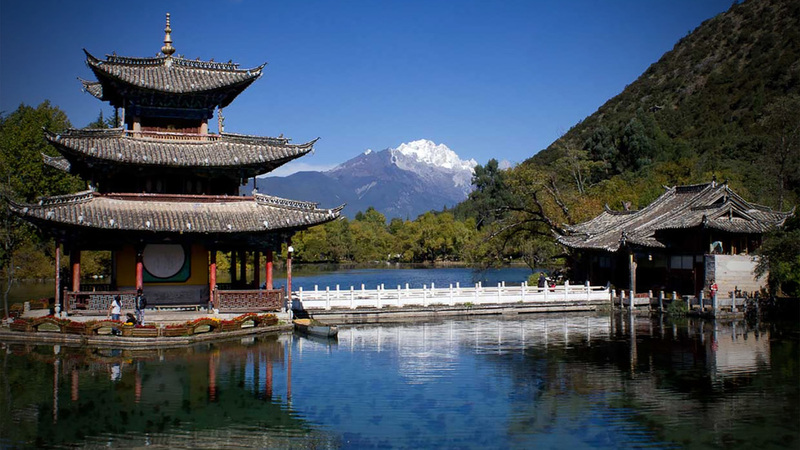 A description of the project is also now in our portfolio section. When news broke last week that the City of San Antonio was pausing construction on several of the "network huts" required for the implementation of Google's fiberoptic broadband internet service I was both excited and concerned. On the one hand I was thrilled to hear that physical construction had begun on San Antonio's Google Fiber network. On the other hand I was worried to hear that there had been some localized pushback. One hut that had been the source of criticism was the one built in Haskin Park. My family actually lives less than a mile from there (the girls and I have ridden our bikes there in the past) and so I decided to take a look and see just how offensive these little buildings were. There's not a whole lot to a fiber hut: the one in Haskin Park was about thirty feet long by about ten feet wide. The windowless prefabricated building is surrounded by a larger service yard enclosed by a cedar fence. It's pushed to the southern edge of the park and although it seems like pushing it to the rear (eastern end) of the park would have made it less conspicuous it didn't seem like its placement interfered much with how the park is used. In the grand scheme of things, the hut seemed pretty innocuous and certainly less offensive than the artifacts created by the recent "fracking" boom that are now scattered throughout north and south Texas. It would be easy to dismiss this sort of thing as a typical NIMBY response but there is a legitimate philosophical concern about eroding public park space with structures that support commercial interests. San Antonio certainly is not alone in its struggle with this sort of thing. Still, I was left with a sense that how fiber huts have been built so far represented a missed opportunity both for Google and the City of San Antonio. Rather than see these structures as pieces of telecommunication infrastructure to be hidden, why not celebrate them as opportunities to improve the places where they are located? Rather than look at these huts as a necessary evil, why not embrace them as a way for a corporate entity to reach out to the customers in the city it serves. In other words, this struck me as a design problem; one that could be addressed by architecture. We wondering what this sort of thing might look like and so we did what architects do: we started doodling. The current arrangement is simply a hut surrounded by a wood security fence and starting there we began to imagine how that fence could do a better job of screening while evolving into and amenity for the park itself. Concern has been expressed about the noise that is periodically produced by the cooling units and back-up generators associated with the huts. To address this an earthen berm could be built to acoustically isolate the hut from the rest of the park. A more robust screening element could then be built to act as a canvas for graphics to imbue the structure with a an identity related to its particular neighborhood. This berm and screen could act as a framework for other activities: it could become a play structure itself or even a stage for public performances. 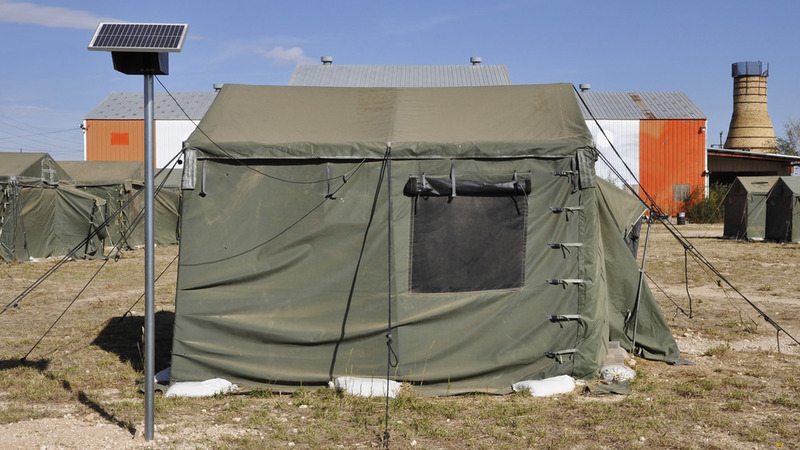 Keep in mind we know nothing about the actual requirements for these network huts, the agreement Google has with the City of San Antonio or the budgets that are in place. This quick design exercise was made in a vacuum merely to illustrate what an alternative approach might look like. It is but one solution to the problem. It would be easy to imagine many others. In fact, we were reminded of the Park Pavilion Program that has seen nearly forty new park structures built throughout the city of Dallas. Designed by multiple architects these pavilions have become an excellent example of how good design can imbue places with identity and utility. 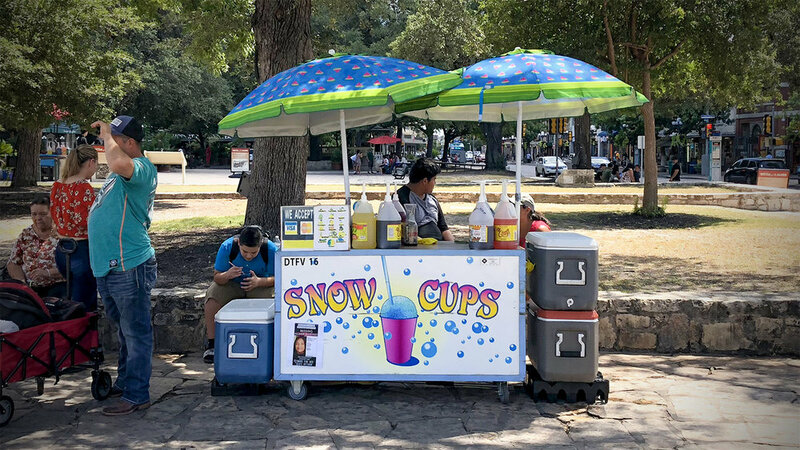 It's not difficult to imagine a similar program in San Antonio where a series of pavilions sponsored by Google screen the huts that support their network while also giving back the the community they serve. When I was growing up in north Texas we would often take Interstate 30 into Fort Worth. The elevated highway crossed the southern part of downtown and in a questionable urban design move, separated a line of building from the rest of the rest of the central business district. These buildings (all of which were designed by Wyatt Hedrick) included the Texas and Pacific Railroad Passenger Station, Texas and Pacific Railroad Warehouse and a U.S. Post Office. As problematic as it was to have these buildings separated from the rest of the city, one unintended consequence was that as you drove past them you were able to see these buildings from a perspective you normally don't. Certain details that weren't necessarily noticeable from the ground become more prominent when your view becomes elevated. 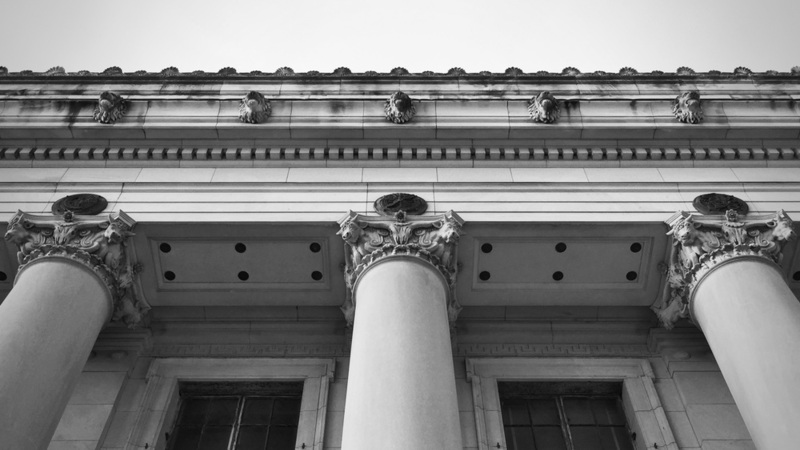 For example, if you look closely at the building's Corinthian columns, you'll notice their capitals contain Texas Longhorn and Hereford cattle. This was not as it was in ancient Rome, but it provides a great example of how even a codified architectural style can be made local in a way that is both appropriate and compelling. I was in Fort Worth over the weekend for a conference and had the opportunity to walk around downtown a bit. I grew up near Fort Worth so I've spent a fair amount of time there, but it's changed quite a bit since then. I've changed a bit since then, too. There's something incredibly fulfilling about rediscovering a place you thought you knew. Fort Worth has always had a nicely scaled downtown. It has skyscrapers but somehow even they feel more humane than in other cities. And there has been considerable investment by the Bass family among others to revitalize and infill the core of the city to make it a truly vibrant place to be. Fort Worth has also always struck me as a city that is comfortable with who it is. Austin wants to a city on the west coast, Dallas wants to be a city on the east coast and Houston wants to be, well, Houston wants to be something. But Fort Worth was always wanted to be Fort Worth. It's a cowtown and it owns that fact. But one building has always bothered me. Bass Performance Hall was built when I was still in architecture school and I remember it receiving a lot of favorable press in its day (at least in the local newspaper). Call me crazy, but I thought its front facade with its 48' tall angles with gilded trumpets projecting out over the street was, in a word, tacky. My feelings towards this building remain unchanged. I think what bothers me most is that the building just seems out of character for Fort Worth. Don't get me wrong, Fort Worth has some amazing cultural institutions, many of which perform at the Bass Performance Hall. But the architecture just seems to be trying too hard. It didn't have to do that. I would have much rather seen a performance hall designed for Fort Worth than one designed for Paris (or at least Disneyland Paris). Anyway, when I was walking by the building over the weekend I saw a part of the building I hadn't seen before - it's backside. I'm not saying it's purely functional stucco facade is better than the front - it's not an either/or proposition - but it did make me smile because I realized I was technically looking at angel butts. That's the problem with putting a 48' tall angle on the front end of your building - eventually someone is going to see their rear end as well. 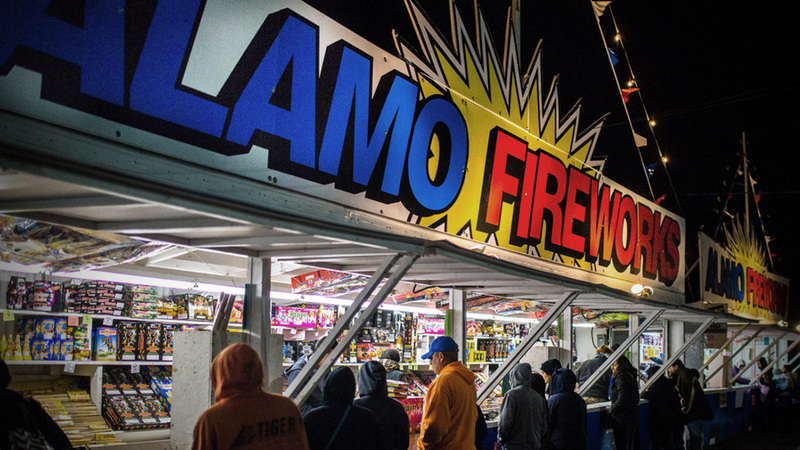 Ahead of the long July 4th holiday weekend, we are proud to release this month's episode of The Works in which we talk about the architecture of fireworks. You can listen to the episode here or you can subscribe to the podcast through iTunes where you can also rate and leave a comment about the show. It's the patriotic thing to do. 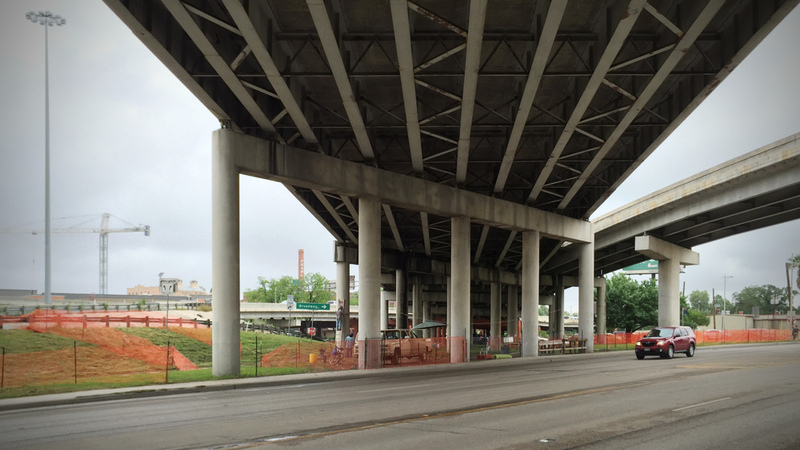 If you live in San Antonio and frequent Broadway Avenue, you are probably aware of the fact that something strange happens underneath the I-35 / US-281 interchange around the time of Fiesta. In this, the fourth episode of The Works, I tell the story of what's going on under the bridge. You can listen to the episode here or subscribe to the podcast through iTunes. Ever since I came back to Texas from grad school I wanted to teach. Indeed, one of the reasons I went back to school in the first place was to earn the piece of paper that said I was smart enough to teach. Lake|Flato was very generous in allowing me the freedom to pursue this goal when I worked for them and it is something I've continued to do after creating HiWorks. As an means of supplementing my income, teaching is not an effective strategy. As an adjunct, I don't get paid much and so from purely economic standpoint the transaction make no sense whatsoever. But some pursuits have value beyond what is printed on a pay stub and I would make the argument that teaching is one of those endeavors. I have found one of the chief advantages of teaching is having the opportunity to operate in the world of ideas. After a long day of dealing with budgets, codes and other realities of practice, it's helpful to take an hour and a half to talk about bigger ideas and concepts. Standing up in front of a group of students is also helps clarify my own beliefs and theories about the built environment while at the same time giving me practice is communicating those ideas effectively. This semester I'm teaching at Trinity University with Margaret Sledge, a friend and former colleague from my days at Lake|Flato. It's great to be able to work with her again, but we've found that teaching at Trinity represents a unique opportunity. Trinity does not have a dedicated architecture program and so our students are not architecture students per se. They instead come from a variety of different academic backgrounds and bring that diversity to the studio. Although their graphic abilities might not be as developed as students who have been studying architecture for years, Margaret and I have found that their ideas are incredibly sophisticated. 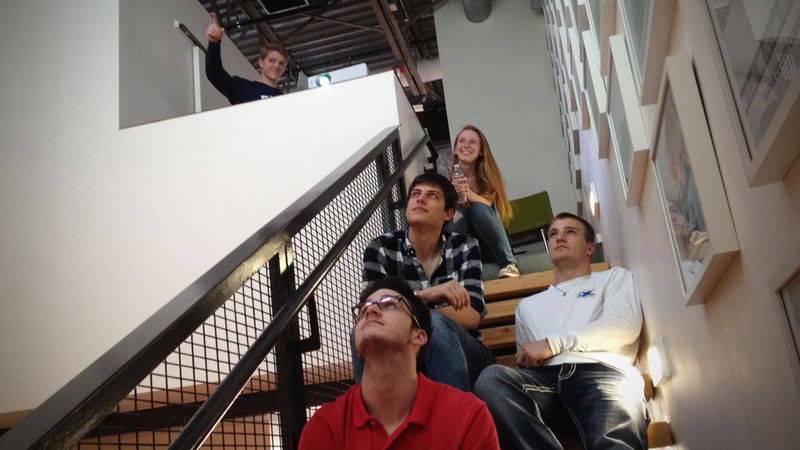 At the end of the day, our goal is not to turn these students in to architects. Although a few might go on to study architecture or urban design at the graduate level, we see our charge as bigger than that. As these students go on to become doctors, lawyers and CEOs, they will take with them a better understanding of the role that architecture plays in our daily lives. Our hope is that we have instilled in them an appreciation of the importance of the built environment and in doing so they have become better consumers of it. Although good architects play a critical role in making the world a better place, so too do good clients. Earlier this year I wrote an essay for Texas Architect about some of the more recent buildings constructed on the campus of the University of Texas. It’s been a while since I graduated from there – longer than I’d like to admit – but what I became aware of as I spent more time in Austin researching the article is that although a large amount of building has occurred, the campus that exists today is better than the one I knew back in the late 90s. It’s a denser campus now and the sensibility with which it has grown has resulted in a better student experience. This is in contrast to the author who has also grown denser since the late 90s although this has resulted in no discernable benefits. Lessons that students learn in college go far beyond those in the classroom. They learn about what it means to be an adult and what to expect from the world around them. 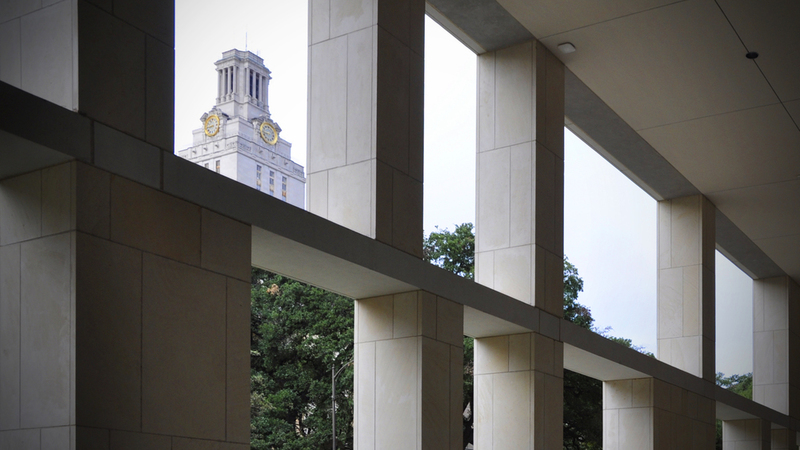 Now that most students come to UT from childhoods spent in the suburbs, the campus provides critical instruction on what a good, urban environment should be. 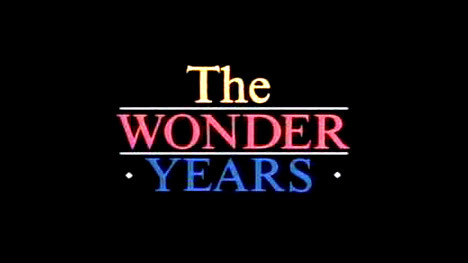 So I recently came across an article in Slate that talks about the Wonder Years on occasion of the 25th anniversary of its first broadcast. As you may recall, the show was about an adolescent teen (Kevin Arnold as played by Fred Savage) coming of age in the late 60s and early 70s. As it happened, the main characters and the actors who played them were roughly my same age and so I naturally felt a connection to the show. Since the series is now available on Netflix (well, a modified version is available with significant musical substitutions - Joe Cocker no longer sings the opening theme) I recently began viewing it again. A reoccurring device of the show is to frame some universal reality of growing up within the context of Vietnam-era suburban America. In the pilot and throughout the series outside events break through the isolation of the (unnamed) suburb to affect the characters and the lives they are living. It will be interesting to watch the series again both from the perspective of an architect. It will also be interesting to watch from the perspective of someone who now relates much more to the perspective of the nostalgic narrator than the teenage protagonist hoping to one day be able to have the emotional distance to make sense of puberty. And for the record, yes – I did have a bit of a crush on Winnie Cooper.